Italy’s biggest island is fast becoming the country’s most buzzed-about wine region. 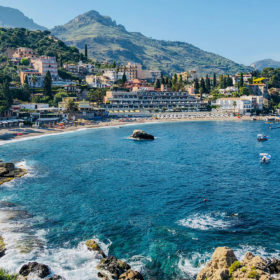 True to its reputation, Sicily was a balmy 72˚F and in full bloom in early December, a welcome respite from the cold winter rain that gripped northern Italy when departing from Milan’s Malpensa Airport two hours earlier. At first glance, this benign climate appears to be the main factor behind Sicily’s meteoric ascent in wine quality over the last 15 years. But the island is far more complex than that. The differences in weather, annual precipitation, soil composition and vineyard altitude across Sicily are extreme. Vineyard altitudes range from just about sea level along the coasts to as high as 3,600 feet on the slopes of Mount Etna. Differences in annual rainfall are equally dramatic, from an average of just 12 inches along the southeastern tip to 47 inches on Mount Etna. While quality wine is the new norm across Sicily, the most exciting areas of the island from a viticultural standpoint are located in the east: Mount Etna, Vittoria, Noto and Faro. Boasting ideal growing conditions for native grape varieties, these growing zones produce some of the finest wines on the island, and the best are among the most compelling bottlings in Italy. If there’s one part of the island that embodies the current global success and glamour of Sicilian wine, it’s Mount Etna. With its continually smoking and often snow-capped peak, head-trained bush vines (alberello in Italian) and the sparkling backdrop of the Ionian Sea, the region is drop-dead gorgeous. The wines now match the scenery: Made predominantly from Nerello Mascalese, the best Etna reds have the finesse of Burgundies and the complexity of top Barolos. Besides its high-altitude vineyards, Mount Etna has cooler temperatures and almost double the rainfall as compared to the rest of Sicily. It also boasts intense sunlight and dramatic day-night temperature swings that prolong the growing season. But the driving force behind the area’s wines is its tapestry of volcanic soils, which range from pumice and basalt pebbles to black ash. Franchetti adds that Etna’s contrade (the local name for single vineyards, or crus), which were officially delimited in 2011, are naturally delineated by these lava flows. “Each contrada is unique because they were all formed by different lava, which, in turn, creates wines with distinct aromas and personalities,” he says. This distinction is readily apparent when visiting two of the terraced vineyards of Marc de Grazia, a U.S. importer and founder of Tenuta delle Terre Nere. Gently curving terraces, green grass and deep deposits of volcanic ash distinguish the Santo Stefano contrada. In the adjacent Guardiola vineyard, the terrain is steeper and the soil noticeably poorer, consisting of volcanic sand and basalt stones. “The differences in the two contrade are mirrored in the wines,” says de Grazia. “Santo Stefano is almost creamy, while Guardiola is tense and more austere.” Both de Grazia and Franchetti’s single-vineyard bottlings are stunning examples of Etna’s Nerello Mascalese. 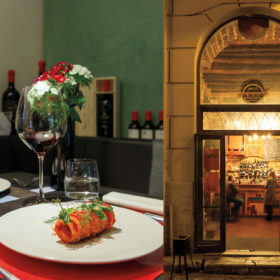 Franchetti, de Grazia and another outsider, Belgian Frank Cornelissen, arrived in 2000–01 and invested in Etna’s north side, widely considered the best area for Nerello Mascalese. Their success encouraged others with local ties like Ciro Biondi and Giuseppe Russo to make and bottle wines from their families’ holdings. It also lured winemakers and entrepreneurs from across Sicily, including Planeta, Tasca d’Almerita and Alberto Graci, to make wines from Etna’s native grapes. Other grape varieties grown on Etna include Nerello Cappuccio, often blended with Nerello Mascalese, and Carricante, which can yield stunning white wines on its own or when blended with Catarratto. Giuseppe Benanti, whose family has long held land on Etna, began working with local oenologist Salvo Foti in 1988. Benanti is credited as one of the first to revive quality winemaking in the region. His rich, mineral-driven Pietramarina, made from 80-year-old head-trained Carricante vines planted near Milo on the eastern side of the volcano, is one of Italy’s great, ageworthy whites. Some top Etna producers, including Franchetti, are forced to label their wines as Terre Siciliane IGP, instead of Etna DOC. Their vineyards, among the best and highest parcels on Etna, lie outside of the maximum altitude allowed under the Etna DOC’s production code. Most producers are confident the denomination, originally written in 1968, will eventually be modified to include these higher-vineyard areas. Benanti 2010 Pietramarina Bianco Superiore (Etna); $45, 95 points. Editors’ Choice. Passopisciaro 2012 Contrada R (Terre Siciliane); $54, 95 points. Cellar Selection. Biondi 2011 Cisterna Fuori (Etna); $60, 93 point. Tenuta delle Terre Nere 2012 Calderara Sottana (Etna); $40, 93 points. Cottanera 2013 Bianco (Etna); $25, 91 points. Editors’ Choice. Graci 2011 Quota 600 Arcurìa (Etna); $40, 90 points. Located in the southeastern province of Ragusa, this area specializes in red wines and is the epicenter of production for Cerasuolo di Vittoria, Sicily’s only DOCG (Denominazione di Origine Controllata e Garantita) wine, the most strictly regulated denomination in Italy. A blend of Nero d’Avola and Frappato, Cerasuolo di Vittoria boasts more finesse than power. Nero d’Avola provides the structure, Frappato freshness and elegance. Cerasuolo di Vittoria must be aged at least nine months after the harvest. Cerasuolo di Vittoria Classico, made from grapes grown in the original growing area, must be aged at least 18 months after the harvest. Both versions boast enticing floral aromas, creamy strawberry-cherry flavors and silky tannins, although Classicos also often offer more leather, tobacco and licorice. Besides Cerasuolo, many winemakers in the region bottle Nero d’Avola and Frappato by themselves. 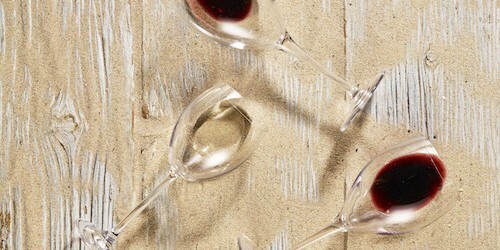 All are remarkably fresh and elegant, and shatter any Sicilian stereotypes of robust, high-alcohol wines. The secret behind the area’s finesse-filled wines is the combination of soil, microclimate and indigenous grapes. “Here in Vittoria, the sandy red topsoil gives our wines remarkable elegance and allows the roots of old vines to reach down to the nutrients and minerals found in the white calcareous rock below,” says Arianna Occhipinti, 32, one of Sicily’s rising stars. Occhipinti is the niece of Giusto Occhipinti of COS winery. Giusto, along with Giambattista Cilia and another friend, began producing Cerasuolo di Vittoria in 1980 as a lark before college. Those early efforts started a revival that became a local winemaking renaissance. When Occhipinti was 16, her uncle asked for help at his stand at the Vinitaly fair, and by its end, she was hooked. She studied enology and viticulture at the University of Milan, and used her free time to tour the wineries of nearby Piedmont. On her return to Vittoria in 2003, she eschewed international grapes and the robust, densely concentrated Nero d’Avolas that defined the area at the time. She focused on making elegant wines from a small parcel of old Frappato bush vines near her parents’ home. Occhipinti is credited as the first in the area to bottle Frappato on its own, and the wine soon captured the attention of international importers. She now has 61 acres under vine and turns out more than 130,000 bottles a year, 70% of which is exported. In 2013, she moved production from the cramped quarters on her parents’ property to spacious new cellars constructed on a sprawling farm she acquired in 2011. Like her uncle, Occhipinti farms organically and doesn’t intervene in the cellar, allowing spontaneous fermentation with native yeasts to occur in concrete vats. She then ages her classic reds in wooden casks. COS conversely ages in concrete or in large casks, depending on the wine, and vinifies and ages its most famous wine, Pithos, in terra cotta amphorae. Vittoria’s unique microclimate is a result of its location between the sea and the Hyblaean Mountains. Thanks to these growing conditions, 11 of the area’s 28 producers—accounting for half of the region’s production—are certified organic. Other wineries of note include Valle dell’Acate, Planeta and Gulfi. Valle dell’Acate 2011 Cerasuolo di Vittoria Classico; $28, 92 points. COS 2012 Cerasuolo di Vittoria Classico; $39, 91 points. Gulfi 2013 Cerasuolo di Vittoria; $20, 90 points. Nanfro 2011 Sammauro (Cerasuolo di Vittoria); $22, 90 points. Occhipinti 2012 Il Frappato (Sicilia); $40, 90 points. Vigna di Pettineo 2012 Cerasuolo di Vittoria Classico; $18, 90 points. Named after the stunning baroque city of Noto, this denomination spans the extreme southeastern point of Sicily, one of the hottest areas on the island. Part of the growing area around the town of Pachino lies even further south than the tip of Tunisia. With its broiling hot days, cool, windy nights and the lowest rainfall on the island, this is where Nero d’Avola, Sicily’s most celebrated red grape, thrives. The variety originated around the nearby town of Avola, making this part of Siracusa province its classic growing area. Although investors have flocked to the region in the last 15 years, winemaking was largely abandoned in the latter decades of the 20th century. From the 1950s until the late ’70s, the area was infamous for the overripe Nero d’Avola merchants sold to wineries in northern Italy and France that wanted to add southern muscle to its more delicate offerings. The port near Pachino is still lined with derelict wineries that until the late ’70s bought grapes from a multitude of small growers. Using a network of now-rusted pipes that lead down to the harbor, winemakers piped their darkly colored, high-alcohol nectar to containers on awaiting ships for the journey north. But by the early 1980s, the countryside around Noto was largely abandoned. Growers took advantage of a national policy that paid farmers to rip up their vines to reduce overproduction and costly farm subsidies. As interest in native grape varieties grew in the ’90s, Nero d’Avola roared back to life across the island. Producers from other areas of Sicily and Italy soon invested in Noto, Nero d’Avola’s spiritual home. Thanks to picking at the right time and better cellar techniques, today’s best examples are terroir-driven wines, their delicious fruit balanced by fresh acidity and soft tannins. They also boast a strong sense of identity that many of the jammy, fruit-forward Nero d’Avolas made across the island lack. Planeta, which purchased 126 acres in 1998, was among the first to invest in the area. “Noto’s combination of microclimate and soil allow the grape to excel here as nowhere else,” says Planeta. “The arid climate and white, calcareous soil give wines that are deeply colored, elegant yet powerful, and have more complex aromas than wines made from Nero d’Avola grown elsewhere on the island,” he says. In keeping with the Menfi-based family’s practice of building wineries at their numerous estates across Sicily, the Planeta family built a state-of-the-art facility at their Noto property, Buoni Vini, in 2003. The resulting Santa Cecilia is consistently one of the best examples of Nero d’Avola from Noto. Other top producers making wines in the area include Gulfi, owned by Vito Catania; Zisola, founded by the Mazzei family of Tuscany; and Feudo Maccari, also under Tuscan ownership. Several producers have also revived the ancient Moscato di Noto, in dry and dessert versions. Made from the area’s own clone of Moscato, the dry wines offer enticing aromas of white flowers and a crisp, citrusy palate, while the dessert wine is redolent of citrus fruits, pistachio and pastry cream. 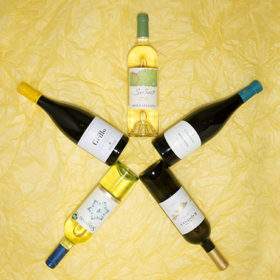 Both wines feature bright acidity. Planeta 2011 Santa Cecilia (Noto); $42, 94 points. Editors’ Choice. Planeta 2013 Moscato di Noto; $41, 90 points. Zisola 2011 Doppiozeta (Noto); $50, 88 points. Feudo Maccari 2013 Noto; $15, 87 points. Zisola 2012 Nero d’Avola (Sicilia); $25, 87 points. In the extreme northeast of Sicily, above Messina and less than two miles from mainland Reggio Calabria, another once-illustrious red wine has been given new life, thanks to architect-turned-winemaker Salvatore Geraci of Palari. In the late 1980s, the Faro DOC, one of the few appellations in Sicily that was never geared toward bulk-wine production, had slid into obscurity. Looking to save the DOC, Italian wine critic Luigi Veronelli asked Geraci, whose family had well-kept, 50-year-old, alberello-trained vines high above the Strait of Messina, to meet with celebrated oenologist Donato Lanati. Geraci and Lanati aligned in 1990, and Veronelli compared the first vintage of Palari’s Faro to Romanée-Conti when he tried it a few years later. He has succeeded beautifully. His Palari Faro has reached cult status and is consistently one of the finest examples of terroir-driven wines on the island. Made from Nerello Mascalese, Nerello Cappuccio and a small amount of Nocera, the wine has a charming combination of finesse and earthiness. While wines based primarily on the same main grapes grown on Etna boast a strong mineral character and brighter berry flavors, Faro is equally elegant but markedly different, with sensations of dried berry, underbrush and tilled soil. “Nerello Mascalese is difficult like Pinot Noir, in both the vineyards and the cellars,” says Geraci. “To make wines with finesse and aromatic intensity with Nerello Mascalese, you need old vines that naturally generate low yields and concentrated flavors. Faro’s volume is tiny, with just a handful of producers, but it’s attracting newcomers. One of the latest firms to arrive is Le Casematte. Founded in 2008 by accountant Gianfranco Sabbatino—later joined by Andrea Barzagli, who plays for Italian soccer power Juventus—the firm is making a complex, enticing Faro and a bright, savory Sicilia IGP that’s produced from native grapes and aged three months in steel prior to release. Le Casematte 2012 Quattroenne (Faro); $35, 94 points. Editors’ Choice. Palari 2010 Faro; $99, 94 points. Cellar Selection. Le Casematte 2012 Figliodiennenne (Sicilia); $18, 92 points. Editors’ Choice. Palari 2011 Rosso del Soprano (Sicilia); $59, 92 points.